People in both developed and developing countries must transform their diets if environmental damage is to be rectified and global nutrition to improve, according to a new book. Sustainable Diets is the first book to outline the range and scale of the food challenges that face the world. Its authors, leading food policy expert Professor Tim Lang and nutritionist Dr Pamela Mason, say action must be taken now because poorer nations are following damaging eating patterns set by western countries. They argue western countries are rudderless because governments will not connect human and environmental health. Sustainable Diets reviews evidence from hundreds of sources to make the case for change. It calls for a new emphasis on changing culture if the food system’s impact on environment and health is to be improved. 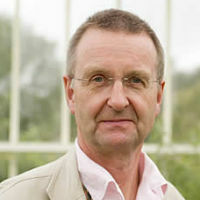 Professor Lang, of the Centre for Food Policy at City, University of London, and Dr Mason, an independent nutritionist specialising in local food systems, argue that politicians and the food industry must face the true cost of the world’s food systems on the planet and take a lead in setting out to change consumer habits. Humanity is entering a new era for food consumption. The new goal for consumers is to eat low impact diets. Only sustainable diets will give future generations the chance of decent living. It is a fantasy to say we can produce our way out of the coming crunch. The authors define a sustainable diet as one that provides people with the nutrients they need while protecting environmental infrastructure (e.g. climate, water, soil and biodiversity) and preventing socio-economic divisions (e.g. from inequalities, bad governance, poor wages and education). 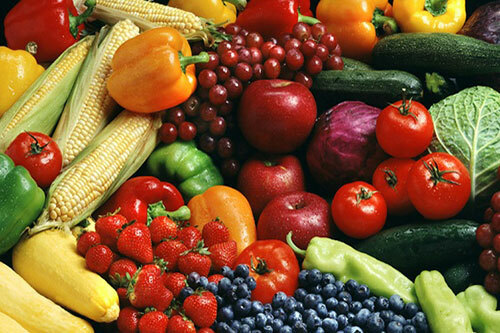 They say the way forward for nutrition has long been clear from the evidence: an increased intake of plant-based foods – such as vegetables, fruits and whole-grains – with limited meat and processed foods high in sugar. It is argued that only a tiny minority of the public knows that diet is a major driver of climate change, water use and biodiversity loss. Consumers are largely ignorant of how many ticking time bombs there are within the food system. Many supermarkets and food processors know but are acting below the radar, when it is time for them to come clean with the public and to engage people in the change. According to Sustainable Diets, the situation is not helped by competing messages about diet. In an internet era, there are no fixed cultural norms. The pursuit of cheapness does not sit well with a drive for more local food or for fairness. And consumers worry about the cost of dietary change. Reviewing where consumers are being helped to make any progressive change, Dr Mason and Professor Lang argue that only Sweden, Germany, Brazil and Qatar have been clear about helping their citizens to alter their diets in significant ways. They explain that some food industry lobbies, particularly for meat and dairy, have actively blocked attempts to introduce sustainable dietary guidelines in Australia and the USA. The result is that a global policy tipping point hasn’t yet been reached. The authors propose a new “SDG2” strategy for public policy – national and local Sustainable Dietary Guidelines to deliver the United Nations’ Sustainable Development Goals. This approach proposes a 20-to-30-year “Great Transition” for food systems, setting new goals for all sectors and grouping actions under six new major over-arching themes which tackle: food quality, health, environment, culture, economy and governance. We propose governments, companies and cities – anyone wanting to lead – now use this six-heading approach to sustainable diets. Good diets for the 21st century will be about delivering good quality food, health, environment, socio-cultural appeal, rounded economics and trusted governance. Western food consumers have never had it so good and so bad. How they eat is now undermining the future. And developing country consumers are being sucked into a pattern of eating which is bad for health and the environment. Unless there is population-scale change, the necessary reduction in diet’s impact on people and the planet will be too little and too late. Diet is now the biggest source of premature death in the world, with diet associated with 18 million deaths annually (1). Over- and mal-consumption in the developed world is now spreading in developing countries (2). Good diets require a high amount of horticultural produce yet land use is distorted by feeding ever more animals for meat and dairy (3). Animal production is responsible for a third of all of agriculture’s greenhouse gas emissions and 36% of the calories produced by the world’s crops are used for animal feed. Only 12% of those feed calories ultimately contribute to the human diet as meat and other animal products (4). Food is a major source of degradation of water, soil and biodiversity, yet urbanised consumers cannot see this. It’s not on a food label (5). Consumers are unaware of high water use for food. The average US diet consumes 5,400 litres of virtual water a day and even a vegetarian diet consumes 2,600 litres a day (6). 87% of global fish stocks are over-exploited or fully-exploited, but consumers are still advised to eat fish. (7). Global food waste, despite rising awareness, continues to be out of control. EU food waste is 89 million tonnes a year, worth about £950 per household (8). UK food waste was dropping but has now stalled (9). Food is the biggest employer on the planet (10), (e.g. employs 3.7 million in the UK), (11). Yet is too often characterised by low wages (12). Contracts and traders drive down costs in the name of ‘cheap’ food for urbanised consumers (13). Food is more than nutrients. We nutrition scientists cannot sit on the sidelines of the sustainable diet challenge. We need to help produce more ecologically sensitive advice. Researching and writing this book has opened even my eyes to how we nutritionists aren’t helping consumers wise up on sustainability. 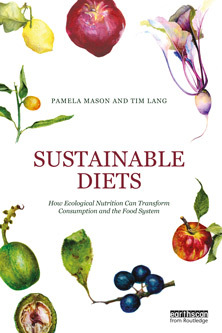 Sustainable Diets: How ecological nutrition can transform consumption and the food system is published by Earthscan (Routledge). (5) Millennium Ecosystem Assessment. Ecosystems and human well-being : synthesis. Washington, DC: Island Press 2005. (11) Defra. Agriculture in the UK 2015. London: Department for Food, Environment and Rural Affairs, 2016.